The MND Group, through its subsidiary Techfun, has signed a €1.8 million contract for the design and installation of a 905-m long zip line in Monts Jura in France. With an inclination of nearly 37%, the zip line – connecting the summit of the pass of the Faucille (1323 m) to a station in the village of Mijoux (1000 m) – will be the steepest ever built in France. The ride is intended to be open all-year and suitable for all ages. 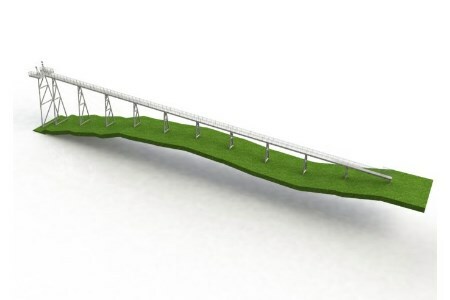 Techfun, in charge of the creation of the zip line and its installation, will begin construction in the spring with the installation of a metal structure of more than 100 t and 300 m3 of concrete. Delivery and commissioning are scheduled for this summer.